How… disappointing. Grind like crazy for AP then take it away. Kinda a finger up from blizzard to me. “We’ll keep iconic legendaries” basically sounds like they’re either going back to MoP/WoD-style legendaries where it’s an expansion-long questline or (less likely) pre-MoP-style legendaries where a static raid group needs to help a chosen person put it together. The Heart of Azeroth neck kind of *is* a MoP/WoD-style legendary, from what it sounds like. Artifact Weapon – Mixed feelings. Always expect to just get rid of past expac gear, immediately. But, the weapon required quite a bit of effort to grind out, so, it feels a bit different than your typical gear turnover. Would be nice to see ‘something’ as a result of the effort put in. Legendary’s – Good, they didn’t feel legendary, and 18 of the 22 I have right now just sit in my bank, never getting used (and never a chance of being used either). Warforging/Titanforging – I have to say this system annoyed me greatly this tier (ToS), and I think it’s because all reward items are on the same table. What I mean is, gear you are awarded from World Quests, PVP stuff etc… is on the same table for WF/TF procs, as stuff you’d get in raids. For months I’ve watched useless vendor trash proc WF/TF, while seeing none of that in raids. Highly annoying. That having been said, this was more of a frustration over my own luck, rather than caring about the system itself. I could take or leave it really. I hope this “something” is your character retiring from their class order and handing the artifact over to the new leader. I would hate for cool weapons such as the Ashbringer to get destroyed. I believe they said prestige system is staying, so maybe it’ll directly reward the mogs on reaching the required level – just my theory. Is Thrall going to ask for Doomhammer back? If not, what will he be wielding? Also to clarify – in the latest Q&A with Ion he stated that the Fishing Artifact will be staying in BFA 🙂 Hooray! But when will it be released? Are we to hammer out Antorus raid and AP world quests until the end of next summer? In that case ill just put it on the shelf and save myself 6-8 months of sub fees. XD one can only hope, but he could always pick Gorehowl back up since the one Garry threw down in mists is still around. logically you could apply that to everything you do in game… and then ultimately it will be a question of why bother playing? I mean fair enough if you’re the type to level to max level experience all the story then unsub then resub for a month for the next content patch then rinse and repeat. Sure it can. Especially when it holds the blood of the world. It’s the same as when we made a cloak and ring legendary in MoP and WoD. It’s a unique item in lore that everyone will have as a major part of the game, so it doesn’t fit as a legendary. Thus it’s an artifact. So if I don’t play BfA I get to keep my artifact weapon? Sure, I won’t get to enjoy the new content but soul flame makes farming old content so much faster! I really hope we somehow get to keep that trait. It was said since the beginning, so nobody shouldn’t be surprised about the loss of our weapon. BUT the fact is that the great storyline they put into it, the fact that we develop it little by little and we see it growing in power in our hands, the fact that it is so deeply linked to the character…said reasons make it way different than anything we got before. 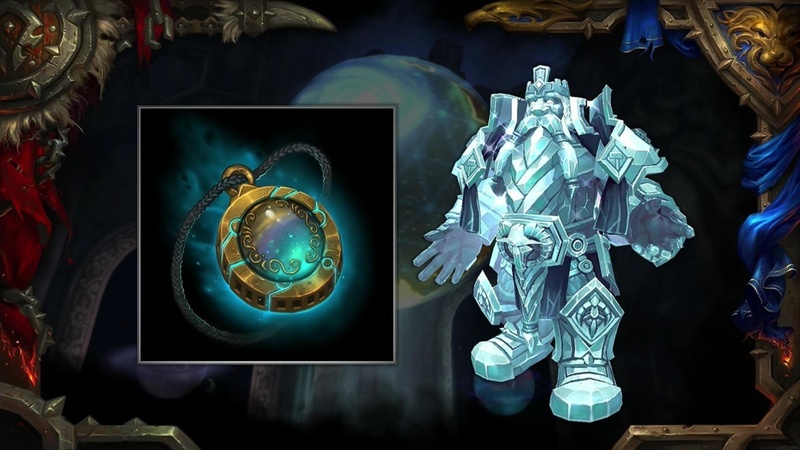 Sure there was great questlines in both MoP and WoD, but honestly it was nothing compared to the effort to develop our artifact. That’s why I am à bit sad thinking I will lose my artifacts.